There is a much shorter way to get to Flåm but we want to see as much as possible so we are driving all the way up to Turtagro then down to Laerdal and then to Flåm. 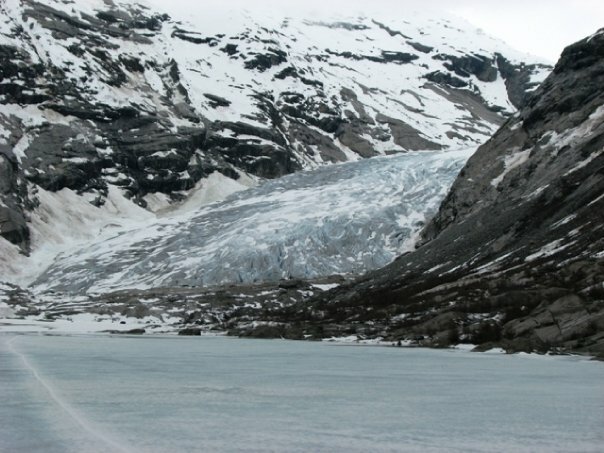 We are also planning on checking out the Jostedalsbreen Glacier. 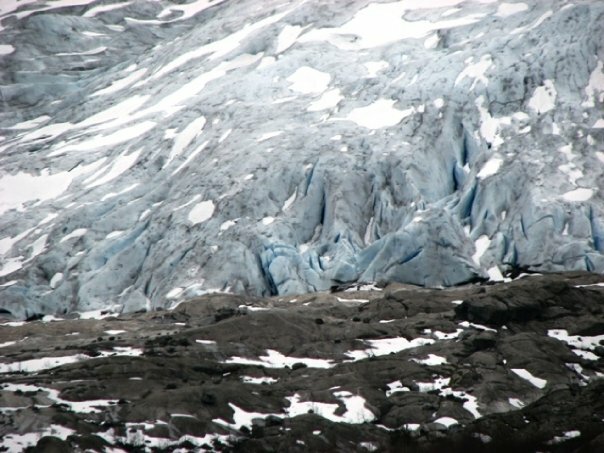 It is the largest glacier in continental Europe. 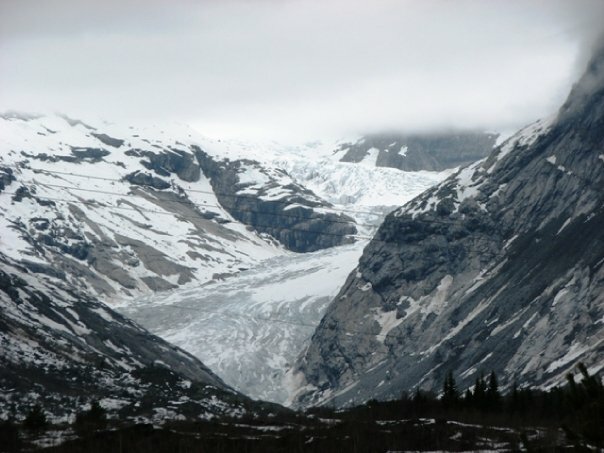 It has a total area of 487 square kilometres (188 sq mi). First we come upon an unmanned toll road. 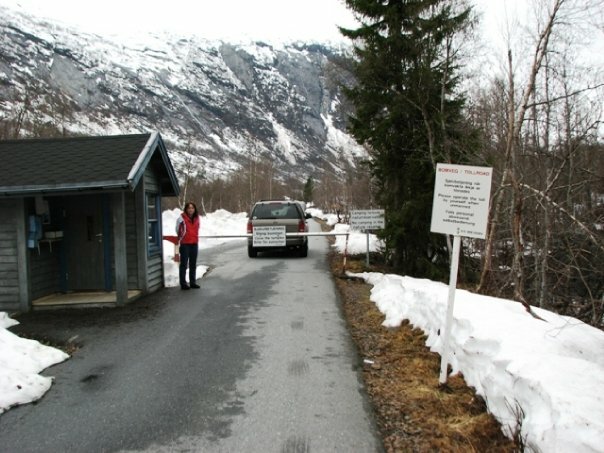 The Norwegians are such trusting people! Ferry from Dragsvik – Hella – Ferry seems to leave somewhere between 40-55 minute then another ferry from Hella – Vangsnes (appears to leave 5 minutes after arriving in Hella. Our main plan today was mainly just to take a relaxing drive around the area, stopping whenever we see anything that takes our breath away. 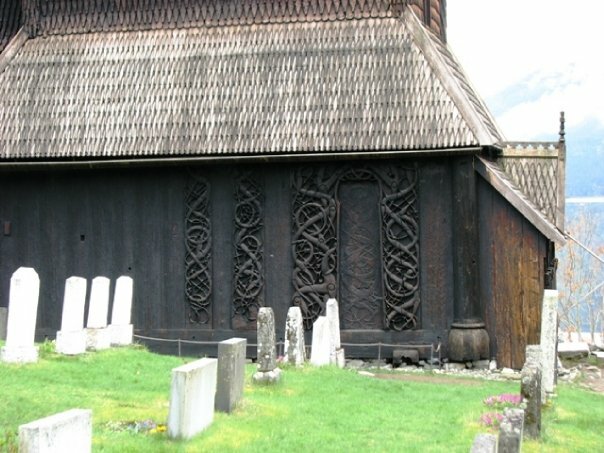 We took the ferry from Solvorn to Ornes to see the Urnes Stave Chruch, the oldest of Norway’s stave churches. It is included on the UNESCO’s World Heritage List. 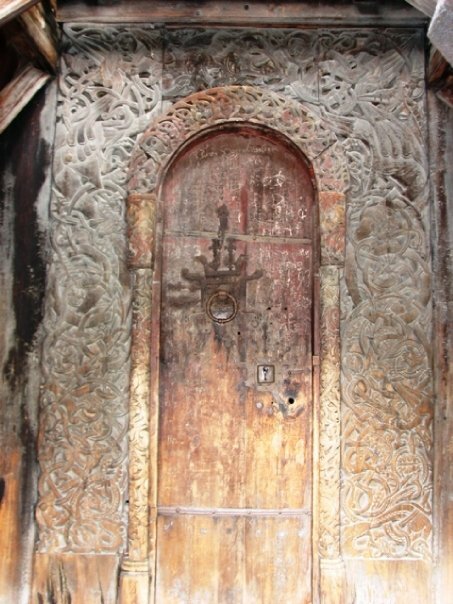 It was built around 1130 AD, but the distinctive carvings on the north portal are from an even older church. This ferry only runs at 7:10, 8:30, 11:00, 15:00, 16:30, 17:30, 18:30 and 19:00 towards Ornes. Return trips are only at 7:45, 8:50, 11:30, 16:10, 16:50, 17:50, 18:50, 19:20. Then we came upon Ragnvaldshaugen. 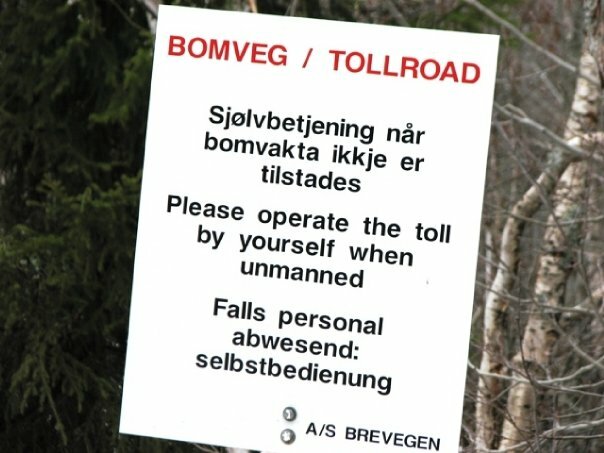 This in an old Viking Burial Mound (if I correctly translate this sign). I will try to translate some of the rest of the sign below. They believe it is from the Iron Age. The Circumference is 117 m and diameter is 37,5 m and it is about 4 m high. 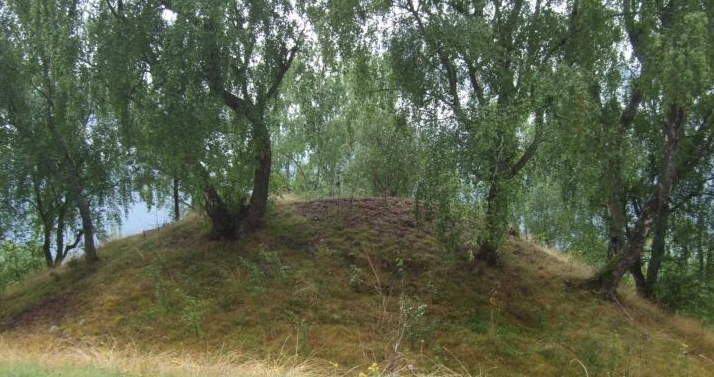 The mound is covered with moss, and grass and has otherwise overgrown deciduous shrubs and small trees. In the center of the mound is a large hollow, about 8 m wide and 2 m deep. There is a path on top of the hill up to the hollow. Here, among other things have been found a brass bowl of burnt bones, spear, ax and bone needle and pot shards. Of the discoveries, there are currently only preserved a breastplate of armor and a glass cup. It is presumed that either an important, or wealthy person is buried here. 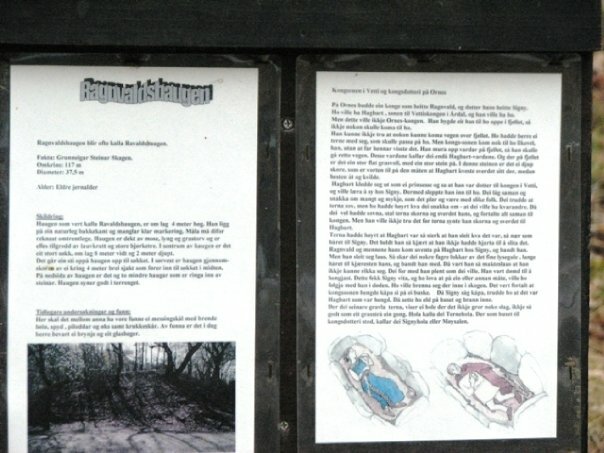 On the right side of the sign is a legend about King Ragnvald and his daughter Signy. I'm not sure if they are saying that they were buried here .... since it shows a picture of two people. 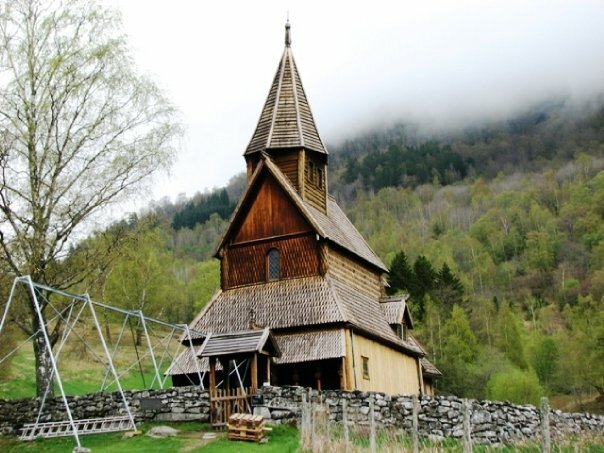 About 26 km from Lærdal is the Borgund Stave Church. 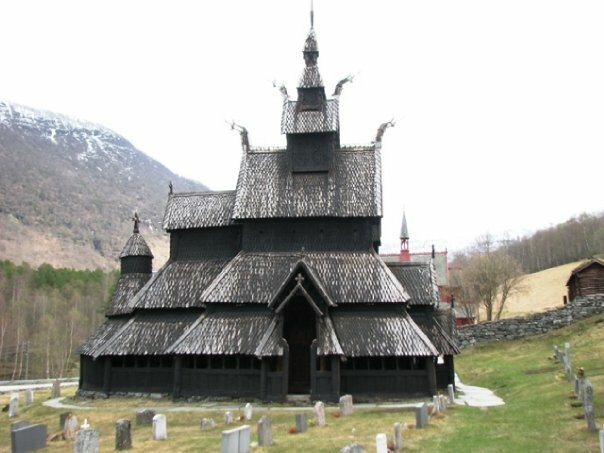 Built around 1180, it is dedicated to the Apostle Andrew. The church is absolutely amazing! 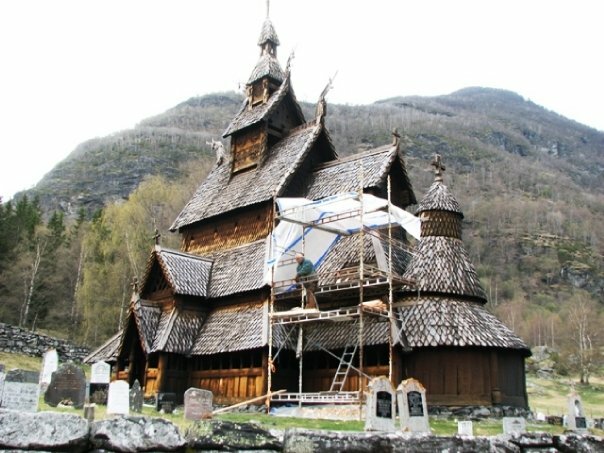 It is very well preserved and is one of the most distinctive stave churches in Norway. 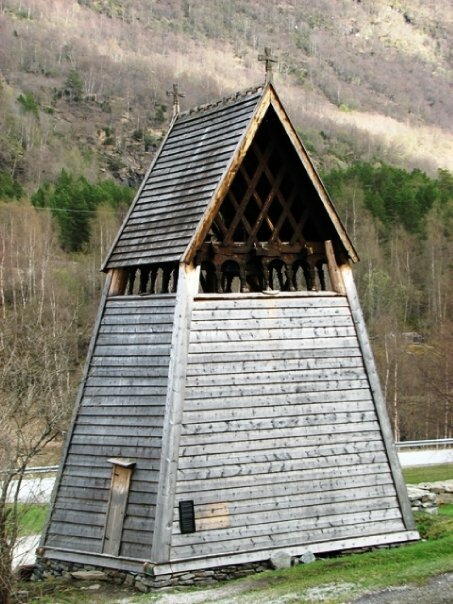 This is the only freestanding wooden belfry remaining from the Middle Ages in Norway. 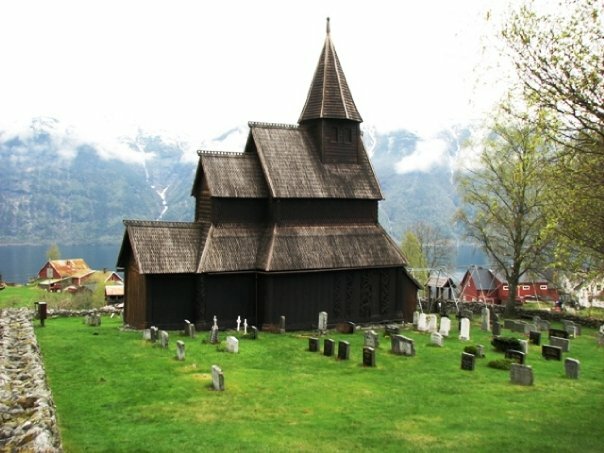 They do not know when it was built, but it has several features in common with the Church so they think it was around 1180. 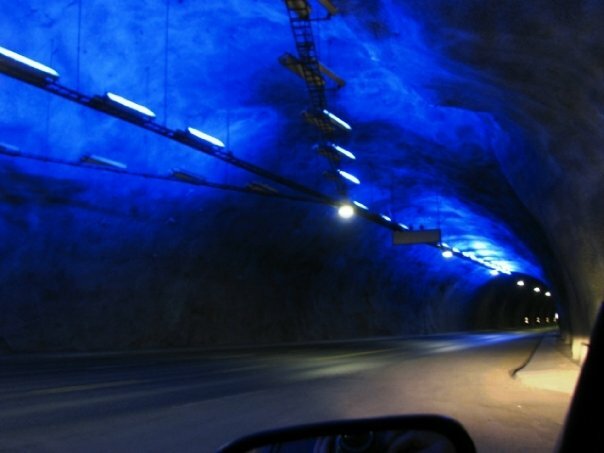 Lærdal’s claim to fame is the Lærdal Tunnel. It opened in 2001 and at 24,5 km long it is the longest road tunnel in the world. It has three large turning areas, 16 turning points, and nearly 50 emergency stopping areas. 400 vehicles per hour can go through the tunnel with the ride taking 20 minutes. In order to break the monotony of a 20 minute drive, the tunnel has been divided up into four sections by creating three large caverns, or mountain halls, 6 km from each end and one in the middle. Check out the picture below. White light is used in the tunnel itself, but the large caverns are equipped with blue and yellow light. This gives one the illusion of driving into daylight every 6 km and the golden light along the floor gives the illusion of sunrise. Check out this link from National Geographic. Andrew Evans puts a camera on his car and speeds it up by 800% and drives through the tunnel. VERY nice! Check out other things you can do here in Lærdal. There is a Wild Salmon Center where you can see salmon weighing 10-15 kg up close and personal, and learn all about the amazing life of a salmon. You can also visit Gamle Lærdalsøyri (Old village Center) where you will find 160 well preserved wooden houses from the 1700-1800. Here you can find the sale of crafts and souvenirs, an art gallery, Telecom museum, postal museum, Jularbo Collection and antiques.